Mumma, “how am I looking. I want to look best on my college farewell party. I can’t believe it’s finally the last day of college. I wish you could be here with us”, Radha whispered slowly looking at the picture of her mom hung on the wall while changing the sandalwood Garland. Radha then leaves for college wishing it to be the best day of her life. She was so deeply lost in thoughts of her college memories, which seemed so fresh and new. Radha is known to be a brave and a courageous girl and sets an example for other girls in college and people living in the locality. She knew she will be praised by the college professors in front of thousands and her bravery stories of how she stood up against ragging and eve teasing will be shared setting an example for others. While walking totally engrossed in her thoughts she hear’s a voice of a girl crying, let me go, let me go, which she overheard earlier. Already late for her college farewell, Radha became impatient and a sad trembling voice made her walk to the opposite direction. To her shock she saw Neelam, a girl who lives in their neighborhood slums with her Uncle’s family. Her uncle is a grocer and Neelam accompanies him while coming to the locality to sell vegetables. Neelam is a 12 year old girl who doesn’t goes to school due to the financial condition of the family. Radha couldn’t control her anger and asked Neelam’s uncle,” why is she crying”, in a loud voice. Her uncle who was holding Neelam’s hand tightly, said, it’s their personal matter and it would be better if she stays away from it . Radha ignored him, and asked Neelam once again about the matter. Her uncle started dragging Neelam towards the street to their house. Neelam again started shouting, Didi , Didi and this time she was shouting in pain. Radha had to quickly do something about it and she coudnt wait for any mishappening with Neelam. She immediately called up her college professor and told about the incident. Then she called up the police to take action. She can’t let it go like this. It’s the matter of a life, life of a small little girl who has dreams and a strong will. Radha whenever used to see Neelam from her balcony, she always remembered her childhood days. Neelam was a chirpy, full of life and a strong willed girl. She accompanied her uncle even in the scorching heat when other kids of her age wanted to play games and rest in shade. Radha started walking towards the street where her uncle dragged her. Side by side she kept enquiring about the grocer and a little girl Neelam with the people on the street. Irony of our society, nobody could utter a word. They can’t go against anyone in their area. Nobody wanted to get into problems of others. Finally she heard a crying sound coming out of a one room house. Radha knocked the door and starting shouting, ” open the door” . Few of her friends reached and started banging the door. Finally the grocer dint have any option other than to open the door. Radha and her friends were shocked to see the little girl draped in a red lehenga and those skinny arms had red Bangles. As soon as Neelam saw Radha she ran towards her hugged her tightly and started crying,” I don’t want to get married”. Radha got an understanding of the situation. But it was more worse than what Radha had thought. Police officials came and started questioning Neelam. Neelam was scared to go against her Uncle’s family who have raised her since when her father left her to them. There was a lot going in her mind. She knew this was the only golden chance where she can break free from all the barriers and can get away from a miserable life. She collected all the courage and finally DARED TO SPEAK and told the police official that her uncle was taking her for her second marriage. Her first husband who was 16 years of age died due to jaundice last year. Her in-laws blamed the death of their son on her fate and sent her back to her Uncle’s house. Neelam DARED TO SPEAK and saved herself from getting into child marriage. Child marriage is a complex issue which is still prevailing in developing countries due to gender inequality, illiteracy, poverty and cultural pressures. Neelam got lucky to get saved by Radha who was strong enough to understand the misery of child marriage. Child marriage not only hurts self esteem of a teenage girl but also effects her mentally, emotionally and physically. Girls pressed into this I’ll act of society become pregnant in such an adolescent age and risk health and life. Its so painful and we could never imagine how traumatic life these girls are living. Even in this age of modernization & technology such I’ll practices are prevailing in our society. I would like to thank Avika , http://www.themommacafe.wordpress.com for the introduction. 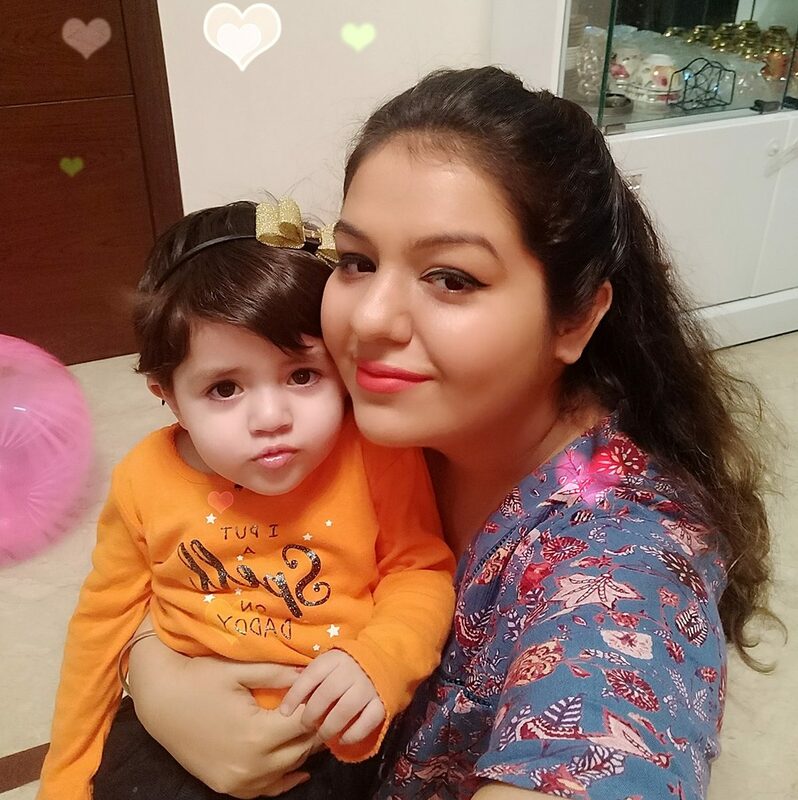 Let me now introduce you to yet another super mom, Preetjyot Kaur, She is courageous, cool and believes to break the motherhood steriotypes. 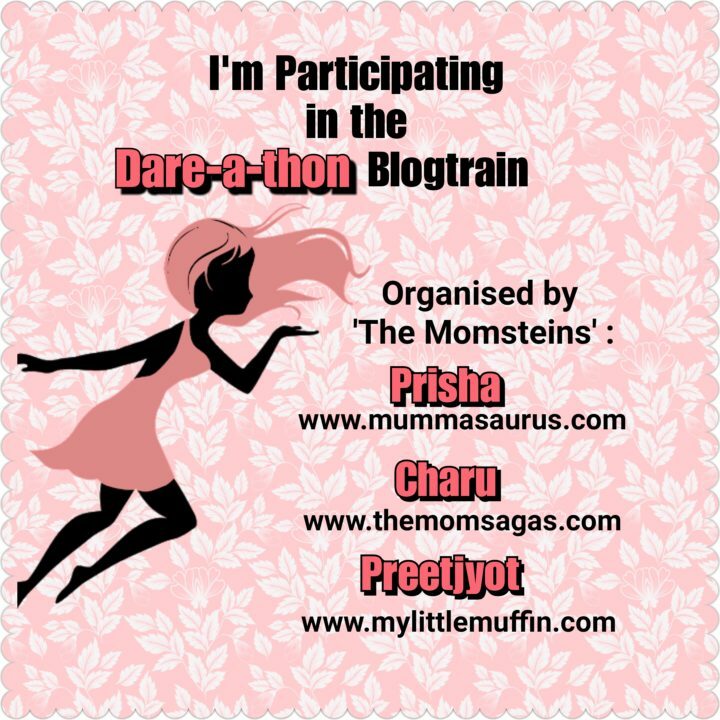 Shoot right away to check out her awesome blogs @ http://www.mylittlemuffin.com .